We encourage you to join one or more of these committees. You don’t need special skills, just a willingness to collaborate with others who share your interests and are excited to share their ideas or expertise. Not only will your participation benefit your ASA chapter and its members, it will benefit you as well. What better way to form business alliances with fellow members than by serving together on a committee? Coordinates the annual awards banquet, which honors general contractors, owners, subcontractors, and individuals for outstanding service to the chapter and industry. This committee meets as needed. Encourages, promotes, and develops the next generation of skilled craft workers. Facilitates contractor mentorships, organizes donations, participates in trade fairs, and organizes a speakers bureau. This committee meets as needed. Represents the membership through regular meetings with the contracting/procurement departments for local governmental agencies and provides communication between subcontractors and these agencies. 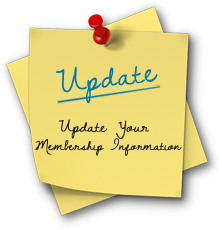 Keeps the membership current on the latest developments in local and state government. This committee meets as needed. Provides speakers and topic ideas for quarterly educational workshops. Keeps the membership up to date on the latest industry news. Promotes education to the members’ staff and field workers. Coordinates quarterly meetings with ASA’s Industry Partners (architects, engineers, general contractors, construction managers, and public/private agencies/owners). This committee meets on the second Thursday of each month. Coordinates the November tournament, which is geared toward the more serious golfer. This committee meets as needed. Promotes/markets the ASA to prospective members and encourages the continuing participation of existing members. Welcomes new members personally and provides an overview of ways to become involved in ASA. Develops new ideas to encourage membership growth. Coordinates the membership drive and mixers. (Here’s your chance to be among the first to meet potential professional contacts!) This committee meets on the first Wednesday of each month. Coordinates the annual sporting clay competition, an instant sell-out event held yearly. This committee meets as needed. Coordinates the annual May golf tournament and exhibitor displays. This popular event is geared toward our not-so-serious golfers. (This event is an instant sell-out every year!) This committee meets as needed.